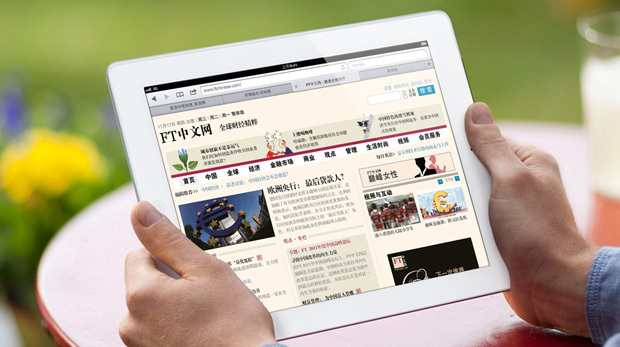 Apple announced today that the new iPad will launch in China this month -- more precisely on Friday, July 20, 2012. While manufactured in China, it's taken Apple four months longer to get their third generation tablet into the Chinese market. Apple products are popular enough the gray market trade quickly fills any gaps in Apple's release or distribution schedule. Despite the hurdles, China remains one of Apple's largest, and still fastest growing markets. Increasingly, Apple is recording substantial portions of their revenue beyond U.S. borders. CUPERTINO, California―July 10, 2012―Apple® today announced the new iPad®, the third generation of its category defining mobile device, will arrive in China on Friday, July 20. The new iPad features a stunning new Retina™ display, Apple’s new A5X chip with quad-core graphics and a 5 megapixel iSight® camera with advanced optics for capturing amazing photos and 1080p HD video. The new iPad still delivers the same all-day 10 hour battery life* while remaining amazingly thin and light.